Home » Navigation » Taximeter. GPS taxi cab meter. GPS taxi meter app for those who earn by driving. Perfect for towing, shuttle buses, limo services or taxi drivers. Allows to setup unlimited number of tariffs, and charge for distance driven or time passed (or both). Provides trip extras management, so extras can be added or removed with one tap. +UNLIMITED NUMBER OF TARIFFS. Each tariff allows to charge either for distance (miles or kilometers) or for time. It is even possible to charge for time only when speed drops under some configurable value. +TRIPS LOG, STATS, RECEIPTS. Everything you need for billing and book keeping. +FLEXIBLE EXTRAS. You can define your extras in advance and add to the trip easily or you can add arbitrary extra amounts to the trip as you drive. You can review trip extras at any moment to remove or edit them. +ONE TAP TARIFFS SWITCH. You can pick which tariffs to see in the tariffs switch panel and switch with one tap between them. +CONFIGURABLE NUMBER OF DECIMAL PLACES IN TAXI FARE. 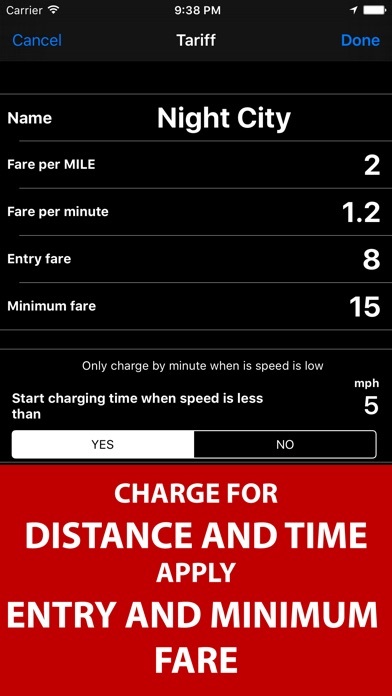 Setup speedometer to show 1 or 2 decimal places in a taxi fare, or no decimals at all. +SQUARE PAYMENTS AND PRINTING. Integrates with Square Point Of Sale app for secure payments (including credit cards) and also for receipt printing. *Square integration requires in-app upgrade. +BUILT-IN SPEEDOMETER. As you often need to know the speed when you drive. + UNIVERSAL APP. No need to pay twice! 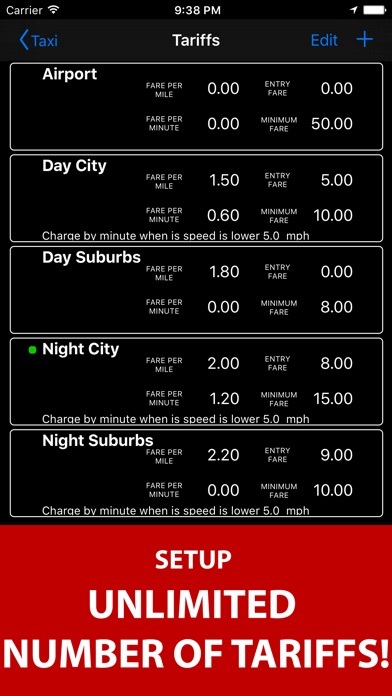 Taximeter works on iPhones and cellular iPads. All in retina graphics. 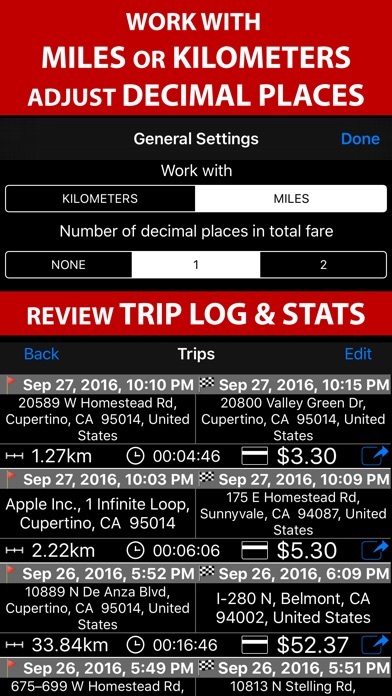 Side by side and split view is supported on iPads, so you can run navigation apps side by side with taximeter! + BACKGROUND MODE! Taximeter automatically works in background when taxi trip is active. 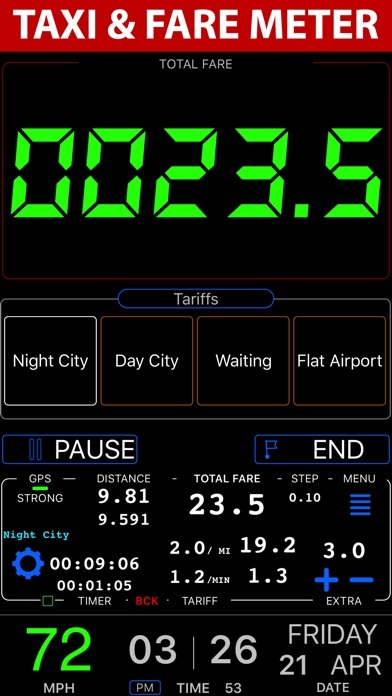 You can use other apps while taximeter does its job in the background! 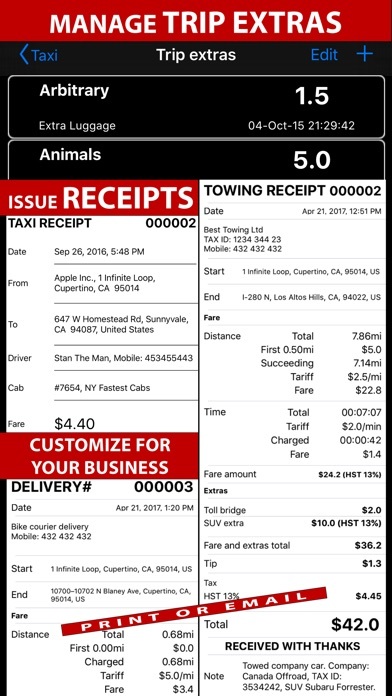 FREE version provides you with 5 taxi trips. If you need more taxi trips please upgrade. If you've ever purchased the paid app or upgraded, please use "Restore purchases" button. ! You can use this app on your iPhone as well as on any cellular iPad. **App will not work properly on iPods and wifi only iPads as they don't have GPS (external GPS module is required). ! Please note that as with all GPS apps, continued use of GPS running in the background can dramatically decrease battery life. great app the best !!! Map Meter 55. Measure, Survey.